The Mom Quilt Ebook – Big Update! For quite some time now, You have heard me talk about The Mom Quilt. I have probably messaged you, text you, or tagged you in a post. There is so much good about this very small eBook with the opportunity to have an enormous impact on the world. I hope that you have already grabbed your very own copy, but if you haven’t, you definitely should. 60, yes, 60 amazing moms contributed chapters to help compile the book into a beautiful collection of stories depicting the many differences and multitude of similarities between our lives as “mom”. Hundreds of people purchased this book and with it sent much needed money to a ministry in Kenya that works with young moms. Every penny from the book sales went towards this ministry and towards the funding of a water well there. This well will bring life in so many ways. It’s a time and money saver for the ministry as a whole, because they will know longer have to truck water in from miles away. It’s a way for them to be a blessing in their community as they can offer water at a cheaper price and save the whole village time and money with easier access to clean water. It’s a business for the women of the Mercy House as they can upkeep the well and sell it’s waters. Each day becoming more empowered and more self sufficient. This is life changing for these women, and you have been a part of it. 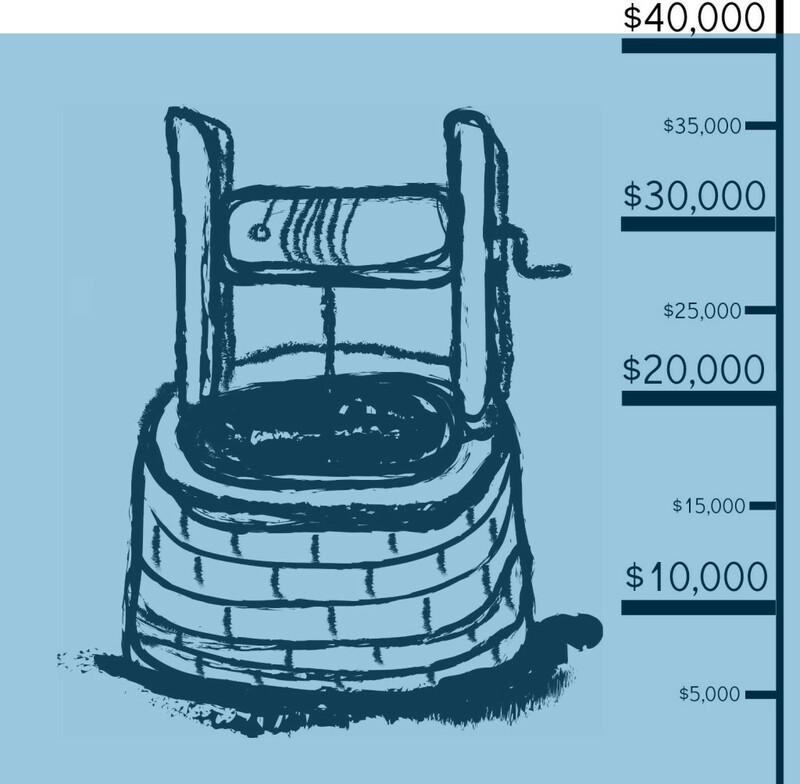 Because as of this month, the well has been fully funded. 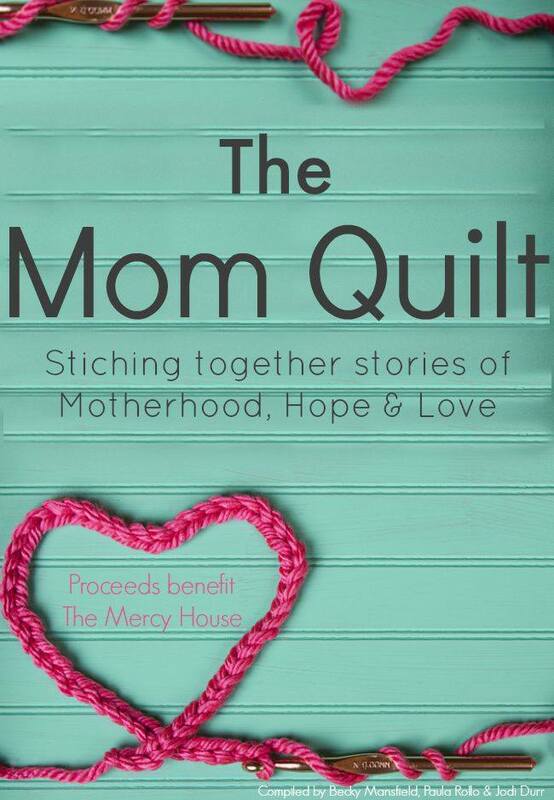 It was a combination of efforts, the mom quilt book, and two other fundraisers joined together and it happened. $40,000 was raised in less than 2 months. And lives are being changed. Drilling is scheduled to start next month. Because of you. Because you had the guts to play a small role in the changing of the world for women so many miles away. Being a mom is a big deal and never let anyone tell you otherwise. I am a bleeding heart and I try very hard to do ALL the things. Most of the time that means taking on way more than I can handle. But sometimes, that simply means helping someone without every stepping foot outside of my living room. I hope that in some way, I am also teaching my kids how to be impactful in the same way; both outside in the world and by never having to leave the house. By me contributing to this book and by you purchasing this book, you and I have made a bigger impact than we may ever know. Together, we have done something quite extraordinary. I will be updating you along the way on the progress of the well, as I get updates, but for now we know that drilling is set for next month, and it might take a little while. The book will continue to sell. If you haven’t purchased it yet, you need to stop what you are doing and go buy it right now! The women who shared their stories are so brave and beautiful; I cried through SO many of the stories and loved every moment. There were even some I had to stop and finish later. The goal is to have a paperback version released by Christmas. I will keep you updated on that as well. Even though the well project’s goal has been met, there is still so much that can be done with this ministry. All of the proceeds will continue to go towards the Mercy House. 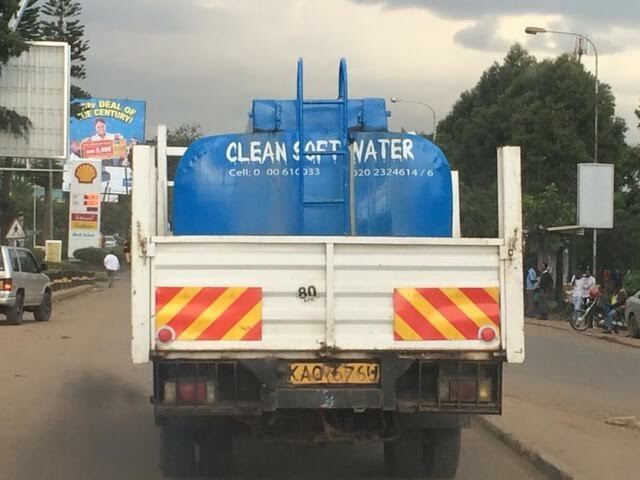 There are medical expenses each year as the young women give birth to their precious babies, there’s a need for a water truck and many other bigger things that can’t simply be purchased with the everyday operating budget. The mom quilt will contribute to those things forever. You will continue to change lives for years to come. If you haven’t had a chance to buy the book yet, you can do so by clicking below.